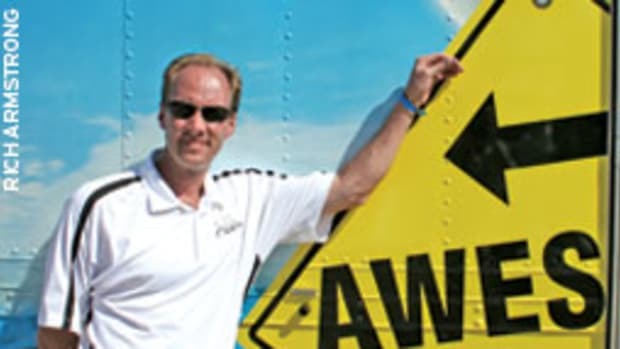 With nearly 25 years of experience as a marine mechanic, electrician, consultant and boatyard manager, Steve D’Antonio ranks as one of the most knowledgeable boating experts in the country. 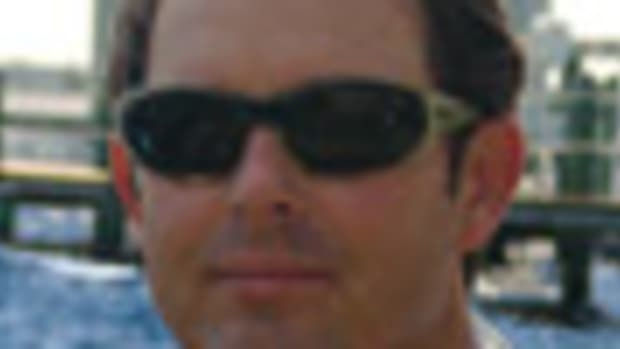 He has operated Virginia-based Steve D’Antonio Marine Consulting since 2007, advising boat buyers, owners and industry professionals (www.stevedmarineconsulting.com). D’Antonio, 47, is also the technical editor of PassageMaker magazine, a sister publication of Soundings. 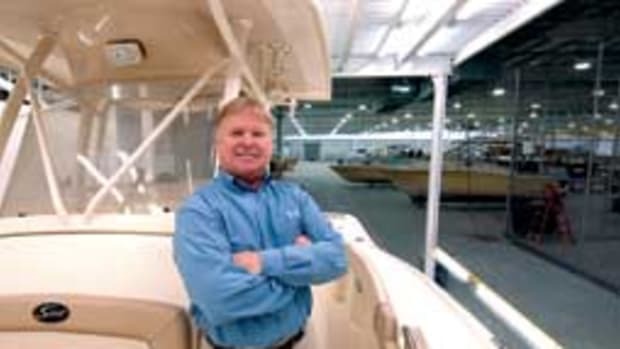 Prior to establishing his business, he managed Zimmerman Marine in Cardinal, Va., for 11 years. 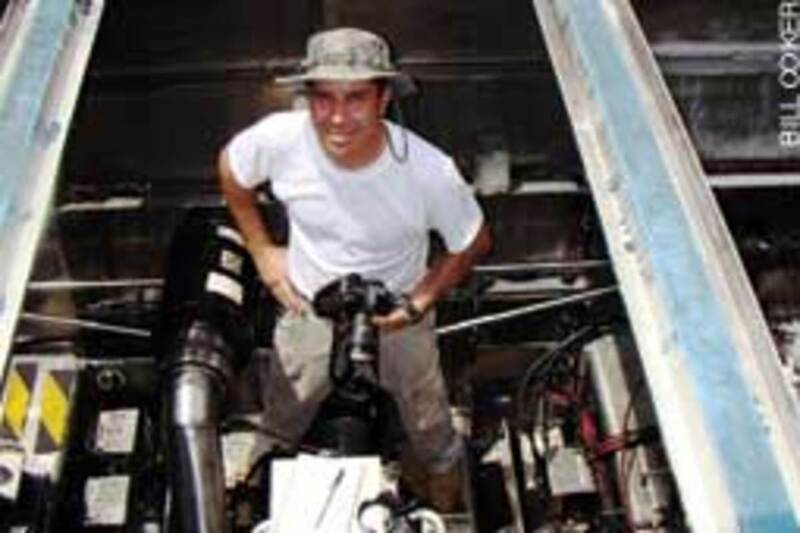 A Boston College graduate, D’Antonio began his career in 1988 as a mobile marine mechanic. He has always been fascinated with mechanical systems, and he fondly remembers fixing his mother’s kitchen blender at the age of 10. A self-described gearhead, D’Antonio restored a 1974 Triumph TR6 that he has owned since college. 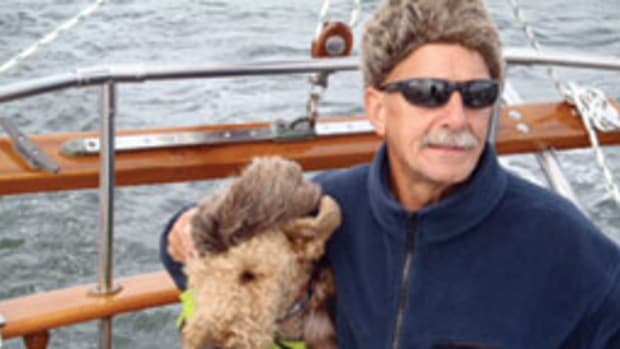 He caught the boating bug as a child, messing about in small sailboats and runabouts on Long Island, N.Y. 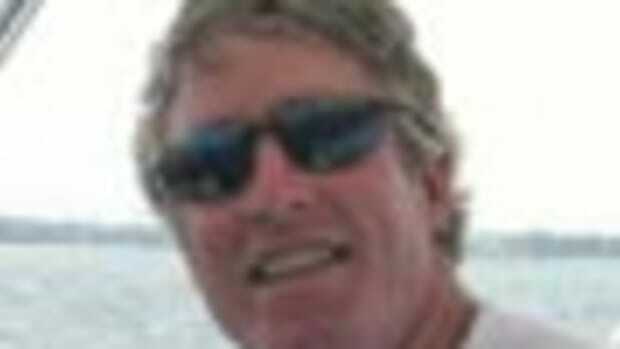 He lives in Deltaville, Va., with his wife, Sandy, and two children, James, 21, and Katie, 17. 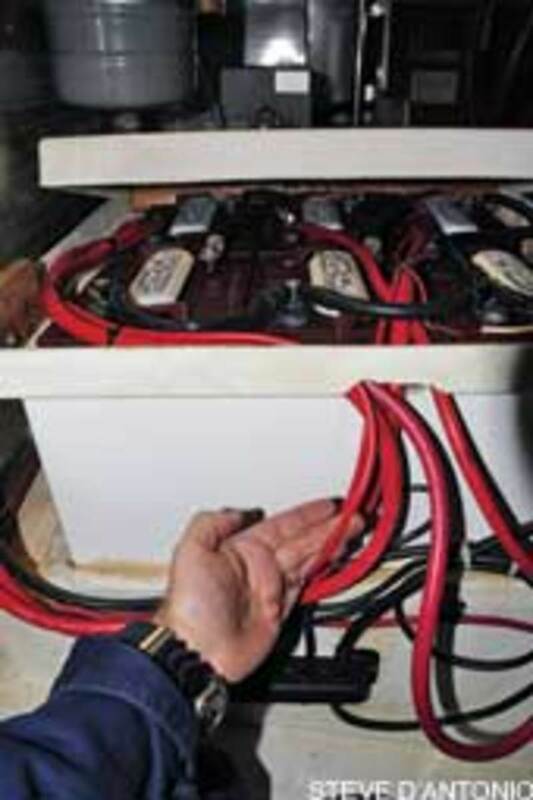 Q: What are the most common mistakes boat owners make in the care and maintenance of boats and systems? A: The primary culprit is not taking the time to learn about the systems — how they work and what their maintenance needs are. Knowledge is power and will help you maintain a safer, more reliable and more seaworthy vessel. Know as much as you reasonably can about the boat and the systems — and that requires some time to do that. Q: What systems are most important to be knowledgeable about? A: Clearly, propulsion is high on that list, and while I wouldn’t expect [boat owners] to become marine mechanics, they should at least familiarize themselves with the engine operating manual. Know the details about how it works, what the alarms are, any failure indicators. Being familiar with how the engine is supposed to operate — and that goes for generators as well — is well worth the time. You can do this in half an hour. Many of the calls I get from clients, maybe a third, could have been answered if they familiarized themselves with the instructions. 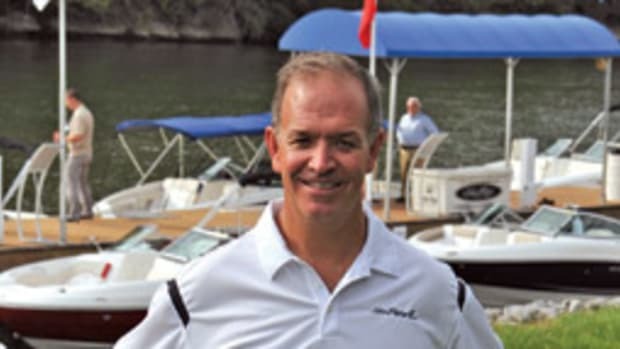 Q: Describe your business — Steve D’Antonio Marine Consulting Inc.
A: It’s a consulting business that offers support for folks who are buying boats, folks who already own them and are undergoing repairs or just want technical support. 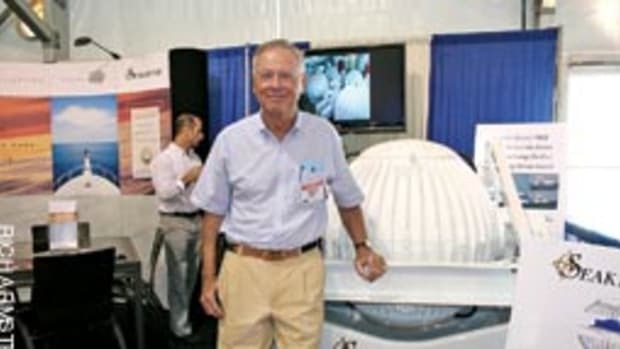 I also offer consulting and training services to the industry — to boatyards and boatbuilders. Almost invariably we would find a lot of other things wrong on the boat. I would have to deliver that news to the boat owner. My role was the problem solver. … While that was satisfying, it kind of wore on me because I saw a lot of unhappy people. They were surprised that the boat had that many things wrong with it and would be that expensive to repair. One day I woke up and thought, There’s probably a better way to do this. If I could get to folks before they bought the boat and educate them about what makes a good boat good and look at a boat with them before they bought it, I could probably head off a lot of this unhappiness. Instead of being the fixer I can be the person who helps them avoid problems. In the end, I’m an advocate for boat buyers and owners and as a source of guidance and information for the marine industry. Q: One of the services you provide is inspection reports for new- and used-boat buyers. What is the overall goal of the reports? A: Prepurchase inspections are one of the foundations of the business. I am not a surveyor, nor do I want to be one. … Using my experience as a mechanic, an electrician, a boatbuilder and a boatyard manager, I do a thorough review of a boat from stem to stern — power or sail. I will crawl through that boat and get to every place I possibly can. I will look at every system I can possibly see, dragging with me a pad and pen and a couple of cameras, documenting everything. This usually takes between two and three days, depending on the size and complexity of the boat. And it includes a sea trial and haulout. The report is detailed and photo-documented, and in it I list issues and defects, recommend improvements, identify safety and [American Boat and Yacht Council] violations and anything else I think the client needs to know. Current boat owners also get these inspections done. They want to be confident in the boat or they are preparing for a long cruise. In a prepurchase report, it’s prioritized and annotated with links to articles I have written or instruction manuals from manufacturers. In many cases, I include estimates of the cost of correcting things, so the buyer can go to the seller or broker and say, I like the boat, I would like to buy it, but there are these issues that I need to be resolved, or compensated for, or whatever the negotiation process entails. Q: What are some common corrections recommended to clients? A: Electrical problems and, more specifically, lack of over-current protection, meaning a lack of fuses and circuit breakers either not being present at all or not being where they should be in the electrical system. Exposed or not properly enclosed AC connections, meaning shore power-type voltages that are electrocution or shock hazards. I find raw-water connections, plumbing or hoses that are not the right material, or they are in poor condition, or the system is designed so it is vulnerable to failure. A great example of that is elaborate hard plumbing, which is connected to a seacock that adds a lot of leverage to it. So if you step on it or kneel on it or a toolbox slides into it, there is a risk that it will break and cause flooding. I routinely cite ABYC guidelines, specifically to the seacock installation itself and how rigid and strong it needs to be installed. But I also use my personal experience. With any raw-water-plumbing component — one that will cause flooding if it breaks — I should be able to step on it without breaking it. That’s Steve’s Rule. I don’t want to move through a bilge or engineering space on a boat and have to worry about putting my foot in the wrong place and causing the boat to flood. If it is not strong enough to withstand my 145 pounds, then it probably is unsuitable for raw-water application. Q: Can you recall a time when you identified a problem that, if left unresolved, would have posed immediate danger? A: I can think of many. … In one case it was a boat a client was considering buying. I tested the shore power and determined that more than a couple of amps of shore power current were flowing from the boat through the water. That kind of defect immediately gets my attention because in the industry our threshold for that type of fault is about 30/1,000 of an amp [30 milliamps]. … It was a very serious electrical fault, but everything on the boat worked fine. The sellers said how can that be? Everything is OK. I explained it, and they had an electrician come aboard and I explained it to him, and a couple of days later he found the problem. It was in a faulty inverter installation. I felt very good about having done that. That was very gratifying. I was convinced that had it been left in that state, it absolutely could have led to someone’s injury or death. There have been on many occasions electrocutions of swimmers because of faults like that. Q: What’s one of the worst installations you’ve seen? A: Not too long ago I looked at a boat, and all the raw-water hoses were actually pneumatic hoses. One of my criteria for plumbing on a boat, whatever plumbing is used — whether it’s hose or rigid plumbing — needs to be specifically designed for the application. So if it’s a raw-water application and there is no indication that the hose is designed for raw water and that the manufacturer of the hose doesn’t specifically say this is what it is designed for, then it is wrong. If you choose to use a product in that manner, especially if you are a professional, the responsibility rests with you in the event of a failure, so why take the risk? Clearly, hose that says right on it “air hose” is not designed for raw water and, if it fails, the folks who decided to use it would at least be morally, if not financially, responsible. Q: What percentage of your work is prepurchase and what percentage is for current boat owners? A: I have people who contact me and say, I want to buy a boat and I have no idea what type or brand or anything else. I help narrow that down for them. In other cases, I have people who say I have narrowed it down to these brands or two or three boats and I would like to know more about them. This is before the prepurchase inspection and I call it Vessel Selection Assist. Once we settle on a boat, then I will do the prepurchase inspection. That work is probably about a third of what I do. And probably another third is work for people who own boats, and I am helping them with projects or doing inspections for them to improve the reliability or safety of the boat, or I’m helping them interact with the company that is building the boat for them, acting as their confidant. 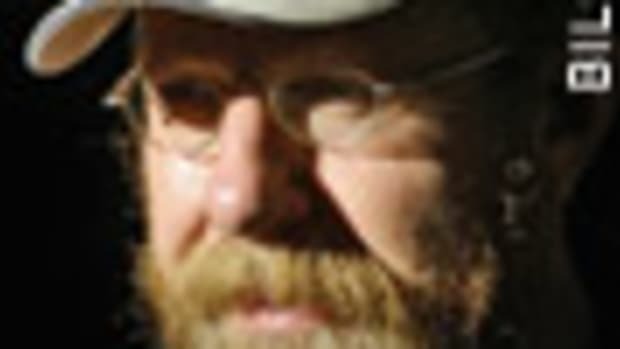 The last third is with the marine industry, as well as lecturing and writing. Q: How can boats be built better and how can boatbuilders improve their system designs and installation? A: Following more of the guidelines of the ABYC would go a long way toward improving the quality of the boat and its systems. The guidelines are for the most part immutable and not open to a great deal of interpretation. If the builder is using a guideline, it limits the number of right ways to do the job. No one has to decide whether it is OK or not for the systems that are included in ABYC guidelines. It’s clearly spelled out. I acknowledge that the guidelines are not the only solution, but it is one important piece of the puzzle. The next way to better build or repair or design boats is to use them. I have to say that some of the nicest and best-built boats I’ve ever had the pleasure of going aboard were built by people who actually use their product, so they gain a much better understanding of what works and doesn’t, and what is safe and what is seaworthy. Using the product is very important. For big production builders, that could mean the dealers are using them and reporting back to the builders and I know that happens, and that is a good means of improving the product. Q: What’s wrong with today’s recreational boats? A: Today what I encounter is boats that are so packed with gear that they are extremely difficult to service and end up being expensive to own and maintain. I’m not saying they are too complex. … A boat overloaded with gear for the size of the boat means that it will be not so much fun to own after it’s two or three or four years old. In these overloaded boats, getting to a starter to replace it requires major disassembly. 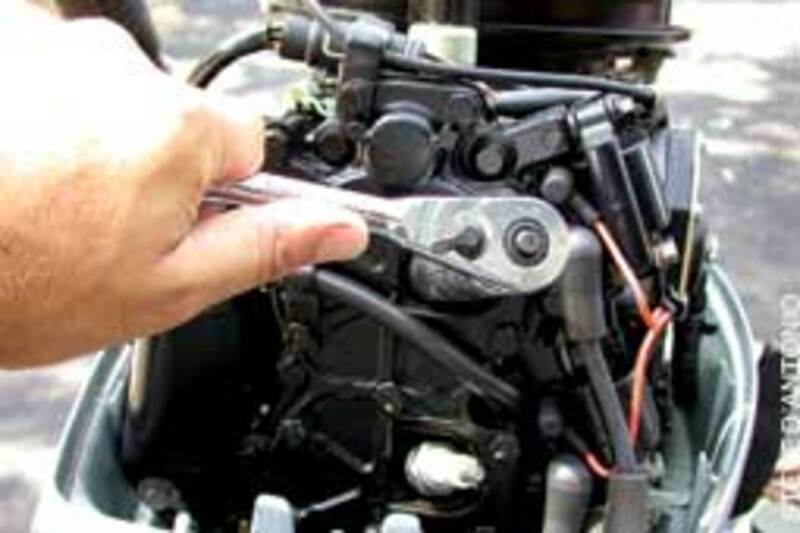 Or getting to a fuel tank or AC compressor means many hours of disassembly and labor. That makes owners feel disenchanted with the vessel. So it’s not the complexity of the system itself that is the problem, it is that there is an unreasonable amount of gear on a boat for the size of the boat. What has happened is the industry appears to have been driven in many cases by focus groups with boat buyers saying I want to have two engines, a generator, AC, a full galley and a standup head on a 26-foot boat. The builder tries to answer that request, but we wind up with a boat that is very difficult and expensive to own and maintain. Q: How did you get into the marine industry? A: After I graduated from college — I got a degree in political science and a minor in Russian history and Soviet affairs, not exactly what you expect from someone working in the marine industry — my first job was for a commercial construction company, doing estimating, and I didn’t like it. And then I ended up at my brother’s law firm in New York City, thinking I would be a lawyer. … Out of the blue I got a call from a friend, who said, “I’m starting a marine repair business. Would you like to go into business with me?” I said yes without asking any questions because I was so desperate to leave what I was doing. … We started a small mobile marine business in 1988. I did that for seven years, working as a mechanic and a marine electrician. In 23 years in the industry I have never had a dull day. I was lucky to find my niche. Q: Did you grow up boating? A: My family always had boats. We had a neighbor who was much better at owning boats than my family. He was a Navy World War II veteran who had a beautiful wooden boat that he kept immaculate, and my family was inspired by him. We had a 16-foot runabout with a 40-hp outboard that we used for water skiing and picnicking. But it was forever breaking down. I remember when I was 6 years old coming back into the harbor one time — in reverse because the shift had failed, again. I credit that event with planting the seed of never wanting to be at the mercy of mechanical equipment. At that young age, maybe not consciously, I wanted to be adept at understanding mechanical and electrical things. I discovered I had a knack for it. I can read a manual and figure out how to fix things. Q: What was your favorite boat growing up? A: That neighbor’s boat had a strong impression on me, and I just spoke to the owner because I was thinking of writing an article about it. The name of the boat was Mad Cap, and it was a 26-foot plywood Chris-Craft. That was probably my favorite boat and inspired me. Q: What are some of the boats you’ve owned? A: Right now, I own one boat — a 14-foot Tiverton dory. That is probably the only boat ever registered in my name. I use so many other people’s boats that I certainly get my fix, so I am not a boat collector, per se. People always ask me: So what kind of boat do you have? The answer is rather anticlimactic. Q: Do you have a few favorite types or brands of boats and why? A: I can’t say specifically because of the work I do. I like builders who have given serious thought to livability and being service-friendly. As a former mechanic, I am very conscious of being able to get to gear. Above all, I respect and recognize vessels that are designed to be seaworthy, safe and reliable. … There are builders out there doing that, and I would like to see more of them.